Updated 2012: scroll to bottom of post for updates from subsequent visits! 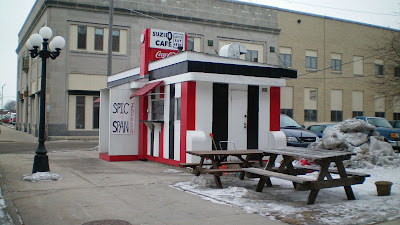 This is a small boxy diner, in a building originally built by Valentines Manufacturing in Wichita, Kansas and loaded on a train to be brought to its location just north of the central loop in Mason City. The place isn't big, but its hard to miss with its bright paint job and busy front door. Location: 14 2nd St NW in Mason City. Just north of downtown loop. Halfway between Des Moines and Minneapolis, about a two-hour drive. Directions: Exit I-80 and drive past miles of sprawling retail development to get to downtown Mason City and find this place one block off of busy loop area. Price: $5.35, or in meal for $6.75. 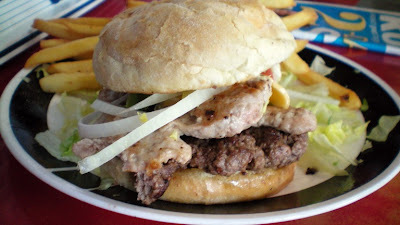 Also on the menu: full breakfast and omelet choices, and their self-proclaimed best burgers in town. Service: Two people were working inside. The food is cooked right in front of you. Take-out window not in service when I visited. Ambiance: Nine stools are provided for sitting, with little space for standing. There is a busy atmosphere with cramped quarters and constant movement of patrons and staff. Everything can be smelled from the stools. The staff were very familiar with the patrons during my visit. Final Thoughts: While visiting the Music Man Theatre and Frank Lloyd Wright building, this place is perfect for a quick bite. My informants tell me that battering of tenderloins, or nearly anything else, is more common north of the Minnesota border. 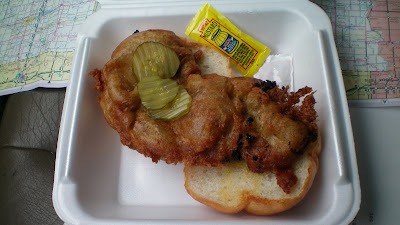 This place certainly does their tenderloin right, its a can't miss sandwich while in the northern part of the state. Some things have changed since my initial write-up in 2008, but a lot more has stayed the same. The guy that runs the Suzie-Q Cafe is still doing magic tricks and cooking sandwiches to order in the middle of the day. The Suzie-Q added evening hours but I think the extra staff just don't give the same service. If you walk in here and the extroverted magician isn't in, maybe its better to come back another time. The thing I've learned from subsequent visits is that this place is run by a perfectionist who is constantly making small changes or adding things to the menu. Burgers are always hand pattied, and there was once a machine for making curly fries to order. The Suzie-Q has always had taken breakfast seriously, but I rarely get to eat breakfast. I can thank my busy morning for that. I was able to grab an omelet platter here once, it was made from several eggs wrapped around bacon and sausage, topped with cheese. Served with hash browns and toast for less than seven dollars if I remember correctly. The biggest difference is what downtown Mason City is like compared to 5 years ago. I remember looking at the Frank Lloyd Wright hotel downtown and thinking "this is it?" But after an impressive renovation the hotel is jaw-dropping. Both the Park Inn Hotel and the Stockman House are worth the ten minute drive off Interstate 35 by themselves. The center of Mason City no longer feels like a bunch of empty buildings and a dead mall. The Suzie-Q itself might be getting a makeover someday too. I will be making the trek here from Chicago one day this summer. What can you tell me about Charlotte "Charlie" Klatt? My Grandmothers Maiden name was Millie Klatt. She lived in Strong City at one time then married Archie J. Davis from Longton Kansas. Any information would be welcomed! davis67024@sktc.net is my email. Thanks for any help you can provide. Have been for breakfast on two visits from England. Food is great, staff and regulars are very friendly. It's a must next time I go over. Thanks. I have a valentine diner in spencer iowa...The Grand Diner..same set up as you! 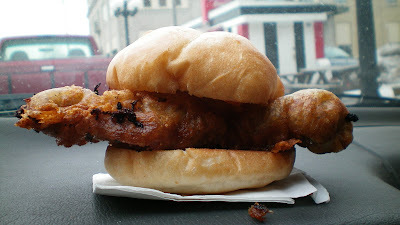 I was just at the Suzie Q Cafe on June 26th and ordered the Pork Tenderloin and it is the worst tenderloin I have ever ate in the Sate of Iowa. All I could taste was the greasely batter. Several of us took one of our tenderloin day trips on the cycles to Suzie Q on June 22, 2013. 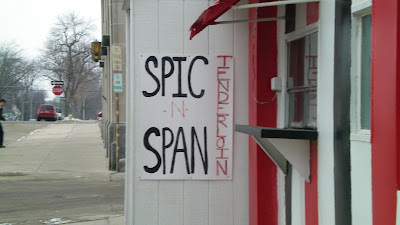 We thought the tenderloins and o-rings were okay, but not spectacular. 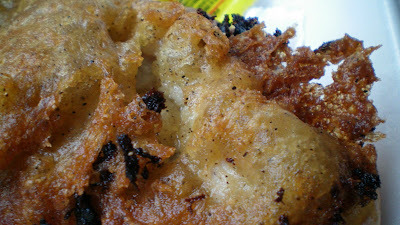 They use a heaver batter on both the loin and rings which tends to be "greasier" and somewhat overwhelm the taste of what it encases. The servings were much more of human size and didn't leave us overstuffed like most of our explorations. We've had many better loins in our travels and will continue our search, unfortunately Suzie Q will not go on our "lets go there again" list. We would rank it 6 out of 10.